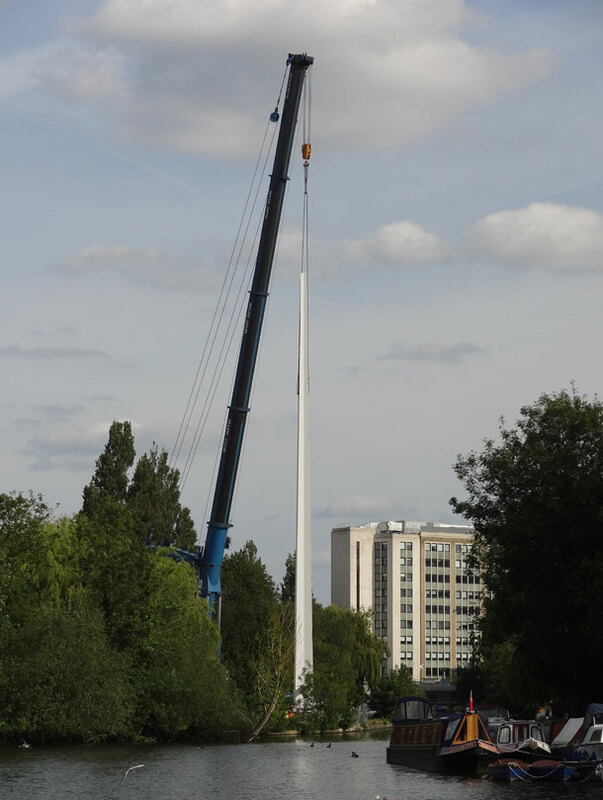 The 35m high mast was lifted into position last week on the shared pedestrian and cycle bridge designed in collaboration with Peter Brett Associates over the River Thames at Reading. The mast which was manufactured in Rotterdam, arrived in Christchurch Meadows in Caversham overnight on Wednesday and was lifted into place during the afternoon of Thursday, June 18. Located to the east of Fry’s Island, between the existing Caversham and Reading Bridges. It will provide a key new route for pedestrians and cyclists from Caversham into the town centre, and to and from Reading Station. A gallery of images showing the mast lift can be viewed on the get-reading website.